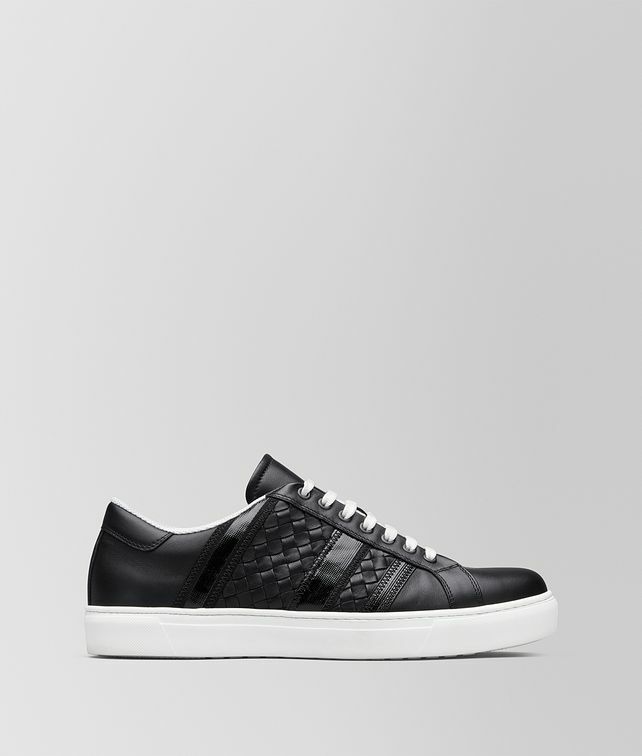 This unique leather sneaker elevates a classic style in the season’s new tech stripes workmanship. The bold look is achieved with a mix of handwoven intrecciato and coated grosgrain ribbon with zigzag stitching. Finished with our new lightweight rubber sole.